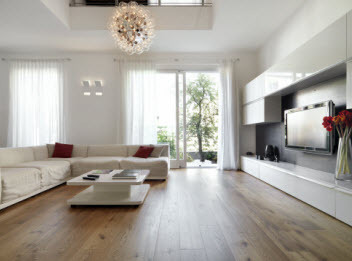 It is not uncommon for consumers to call around looking for rug cleaning services. Generally, companies want to know what type of material the rug is; such as if the rug is silk, synthetic, or wool for example. Should you not know what the rug is made of, the professional will direct you to the label, usually located in the back corner. Synthetic rugs are often rugs more commonly made of Olefin or Polypropylene and also can be made from polyester or nylon. It is important to know the origins of the rug because we need to know how susceptible it is dye migration or fiber damage from high pH cleaners or oxidizers and absorbent they are. We at Go Green Carpet Cleaning & Restoration would like to continue relating the basics of rug cleaning today. Natural fibers are much more absorbent such as wool, silk or cotton. A wool rug, for instance, can not feel wet while holding 30% of it weights in moisture. Additionally, the wool fibers can hold more dirt than synthetic rugs. Because of this, many homeowners are seeing the benefit of using wool rugs as a filter of sorts, particularly those in desert-type locations. Because wool holds more dry soil, they are treated with a “Dusting” process. Dirt is a natural abrasive and simply walking causes friction, thus creating a sandpaper-like effect. Vacuuming helps contribute to minimize the absorption of the dirt and debris, but it is not enough to remove all the dirt that is slowly damaging the wool rug. In a dusting process, professionals can easily remove 10 pounds of dry soil. With wool rugs’ ability to hold so much water and soil, owners should invest in a professional cleaning to not only remove the debris and ensure it is fully dry, but to flush it of all contaminants. Professional rug cleaning will get your wool rug cleaned and sanitized. Natural rug fibers can have issues with the dye stability. Acid-based dyes can be very unstable, which are frequently used on wool and other natural fiber rugs. The presence of urine or cleaners used that were not wool safe, only make them more unstable. 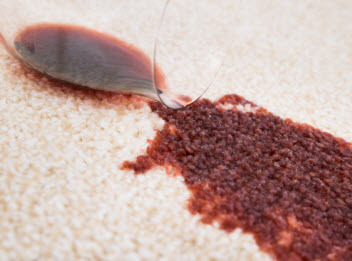 When the dye is unstable, that means it can crock or bleed into the other areas of the rug. Professional rug cleaning can help prevent the potential damage caused from dye instability. Cotton is even more absorbent than wool and can absorb migrant dyes from the rug or cause it to become brown as it dries. Professionals will frequently expedite the drying process to preserve the color and spare the fringe from being compromised. Free of any migrant dyes is ensured because professionals will do what they can to extract the water promptly and accelerate the drying process. This is why it is best to know what kind of material your rug is made of to let the professional know. Doing so will eliminate the guess work and allow the professional to clean, sanitize, and deodorize the rug as quickly and always as efficiently as possible. Call Go Green Carpet Cleaning & Restoration to have your Southern California home’s rugs cleaned.